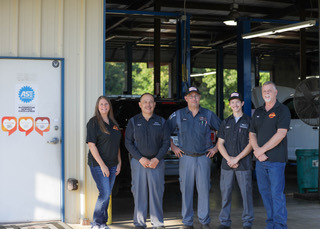 Mike's Automotive was founded in 1991 by Mike Crist. Mike began working on cars as soon as he was able to pick up his first wrench. But his passion for working on cars began to blossom when he was in high school, working on his trucks and his friends cars in his Mother's garage. After graduation Mike began working full time as an automotive technician. He was privileged to work with some of the best auto technicians and shop owner's in the Tyler area. He learned all he could from them. 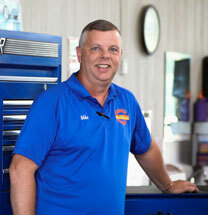 In 1991 Mike branched off on his own determined to make a difference in the automotive repair industry here in Tyler. Mike's Automotive was born in a small two bay shop behind his home. Mike based his new business on the two things he knew would satisfy his customers; Honesty and Quality. As word spread about Mike skill and ethics, his customer base grew quickly. He was blessed with some wonderful customers who are still part of the "Mike's Automotive family" today. With the business growing, Mike built a modern six-bay facility in 2005. It was at this time his wife Jill joined the team. Mike and Jill truly enjoy working together as they strive to treat their employees and customers as family. As the old saying goes, "Treat everyone the way you would want to be treated." We have never lost sight of what has made Mike's Automotive a success. We always put our customers interest first. We only hire highly qualified technicians that we know can provide quality repairs for our customers. Honest, professional service... not just a slogan, it's what we live by every day. ASE certification is the standard measure of competency for auto repair technicians. ASE has taken this one step further by recognizing highly qualified repair facilities. The Blue Seal of Excellence is an ASE program that recognizes auto repair centers with ASE-certified professionals and a commitment to be the best in the business. Mike's Automotive is proud to be a Blue Seal of Excellence Facility.